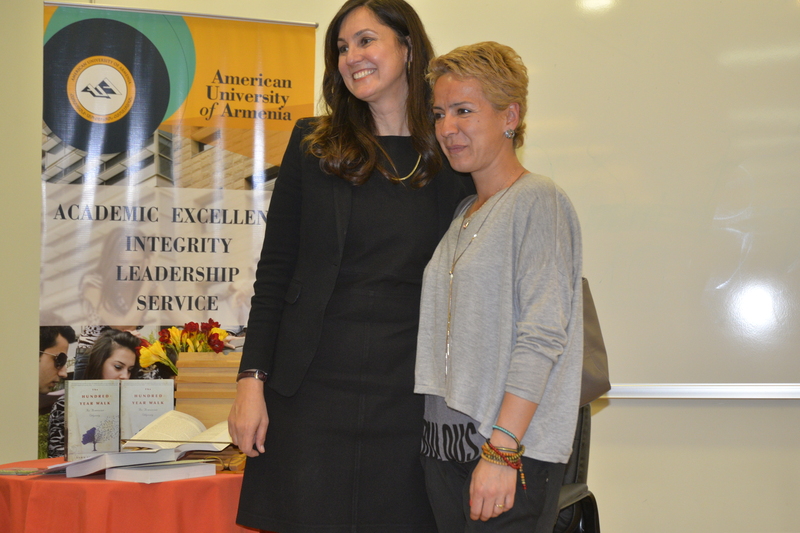 YEREVAN, Armenia – On April 18, the American University of Armenia (AUA) hosted Dawn MacKeen for a reading and discussion of her highly acclaimed new book, The Hundred Year Walk: An Armenian Odyssey, about her expedition to learn more about her family’s history with the Armenian Genocide. The book has been declared a “must read” by the New York Post. The book is based on Ms. MacKeen’s grandfather’s discovered journals and a decade of research. 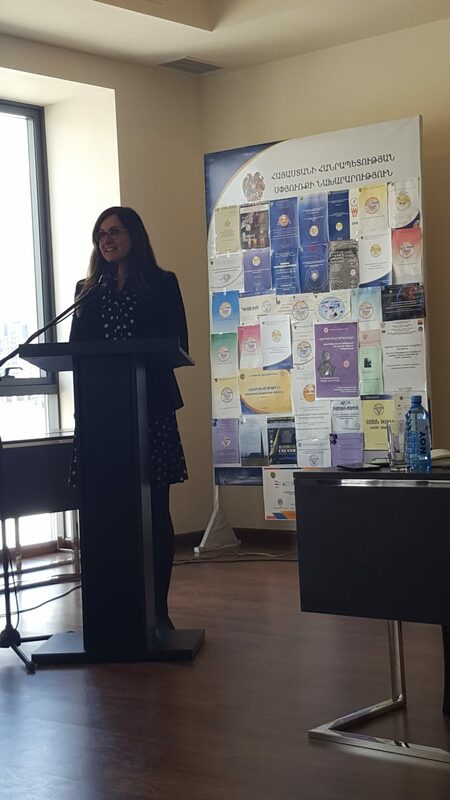 As part of her visit to Armenia, Ms. MacKeen was also invited to the Ministry of Diaspora. 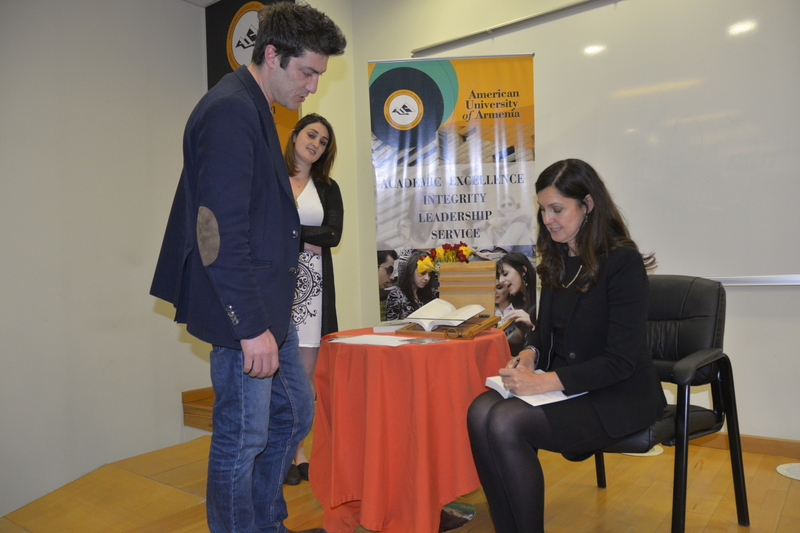 There, she was introduced by the Minister of the Diaspora, Hranush Hakobyan, and was joined by AUA President Armen Der Kiureghian and Mr. Vaun. The topic of the discussion at the Ministry was the goal of the book and its historical significance. Previously, Ms. MacKeen was a staff writer at Salon, Newsday, and SmartMoney. However,, upon unearthing more and more of her grandfather’s writings, she put her career on hold to write a book that captured his story. In her remarks at the Ministry, she recalled that, “My grandfather’s story was a family heirloom and I felt it my duty to put to paper what I saw.” Ms. Mackeen is confident that sharing the stories of past atrocities will help prevent similar crimes from being committed in the future. You can learn more about the book at Dawn MacKeen’s website. 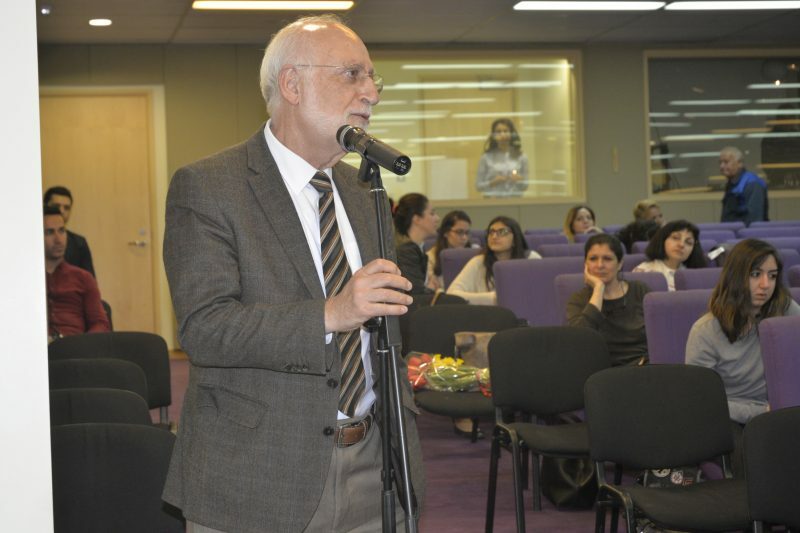 The Center for Creative Writing (CCW) is the first hub of creative writing and literary studies not only in Armenia but in the former Soviet Union. 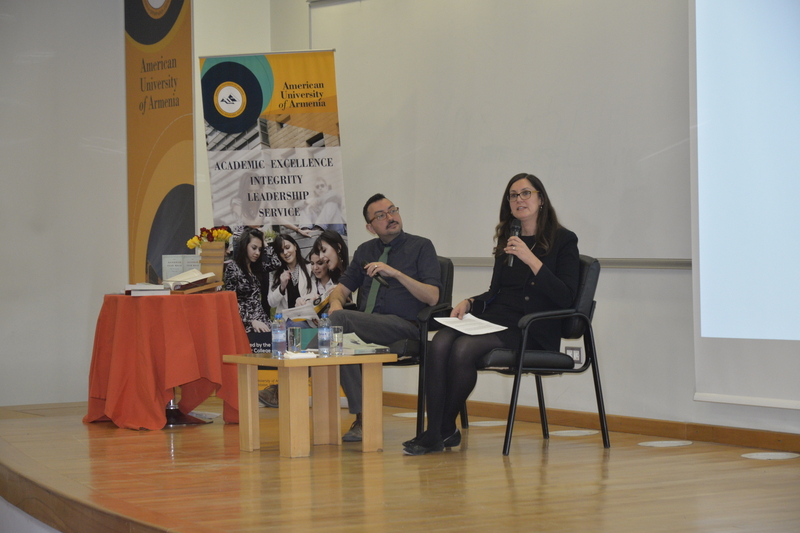 It serves as a much-needed bridge between non-Armenian and Armenian writers and students of literature. Just as importantly, the CCW will be an engine of motivation for students, scholars, and all those who appreciate the value of innovative literature within any healthy society.